There have been studies done on how important it is for us to zone out and think about nothing. We get so caught up on all the things we need to do, have done, and still need to do that our brains get overloaded. We don’t have any time to rewire our minds and calm down, which is why a lot of people end up getting low-stress pets. 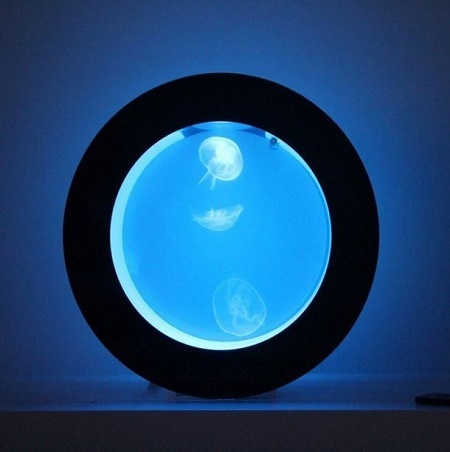 If you happen to have an affinity for aquatic creatures, especially jellyfish, then you are going to love this Orbit Jellyfish Aquarium. This can hold 6 gallons of water and has a built-in color changing LED which can be controlled via remote. This can hold up to 10 juvenile jellies, and has built-in mechanical and biological filtration, so it shouldn’t take too much work from you too often. This pleasantly perfect circle with the light and gentle floating of the jellyfish will make it feel like a lava lamp has come to life. This aquarium will cost you $389, and you can choose to purchase 3 small jellyfish as well for an additional $90. Of course, it’s pertinent that you know how to take care of these little creatures, as they live in a rather delicate habitat. No point in getting a pet that will help you relax if you don’t know anything about it and end up putting yourself stressed by trying to learn what’s wrong as problems arise.